There was a lot to take from the action that went down at UFC Atlantic City -- Kevin Lee picked up a big win, Frankie Edgar got his hand raised in his home state, and more. But one of the most compelling developments occurred before any fighter stepped into the Octagon. Leslie Smith was released from the organization in a way that shouldn’t fly under the radar and should sit in the forefront of the mind of every fighter who is a part of the UFC roster. On the surface, Smith seems like a middling fighter who isn’t a star in the women’s bantamweight division. With a record of 10-7, she’s had some successes and failures in the Octagon, but with a 2-1 record in her last three fights, plus a penchant for putting on exciting performances each time she stepped into the cage, there’s no reason to think that her abilities in the cage should dictate that she should be cut. But that wasn’t the case on Friday, when Smith would not only find herself without a fight; she found herself without a UFC contract. 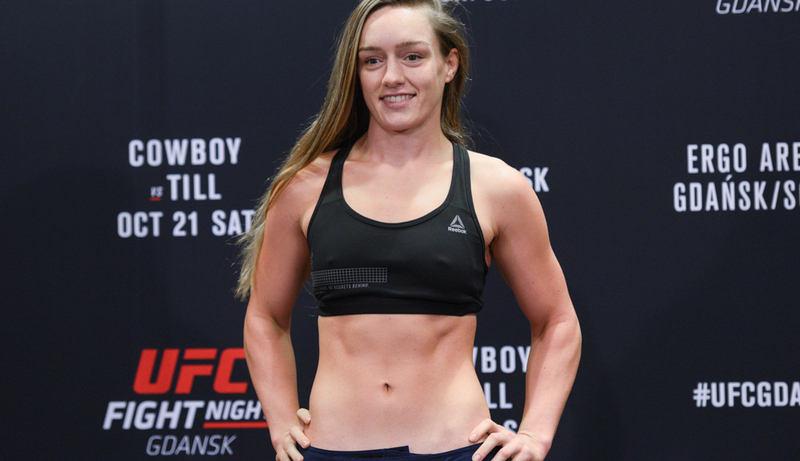 Her opponent, the 6-0 Aspen Ladd (who is oddly ranked in the UFC's Top 10 even though she only has one UFC win), was unable to make weight and her fight was called off. The story after that decision gets murky, as Smith and Ladd have made various statements of differing consistency, but that’s not how the story ends. Smith attempted to use this opportunity to negotiate a new contract with the UFC. She was on the last fight of her deal, and as many fighters are doing today, elected to fight it out in an attempt to get a more promising offer. However, the UFC had no interest in signing the Cesar Gracie Fight Team member. According to Smith, she was paid her full fight purse (including both "show" and win money) of $62,000, and the UFC elected not to negotiate a new deal with her; this effectively removed her from the roster. Anyone familiar with what is going on behind the scenes in MMA is well aware that Smith is one of the most vocal individuals in the sport when it comes to the topic of fighter unionization. She has been at the forefront of the "Project Spearhead" movement and has been involved with other discussions around the topic in recent months. This has led to many observers wondering whether Smith has effectively become the UFC’s version of Curt Flood, the Major League Baseball player who sacrificed his playing career for the fight for player’s rights. Smith is far from a “big name” within the UFC, but seeing the organization so willing to pay her a full purse and effectively buy out her contract creates a story worth watching. Especially so, a few weeks after UFC President Dana White responded that the company “isn’t that rich” when asked if the promotion would pay fighters both win and show money for fights that were scrapped due to the Conor McGregor melee in Brooklyn before UFC 223. The company is frequently criticized for its pay structure, so this apparently policy reversal is worth noting. And to go along with that, many observers of the sport wonder whether this situation will make other fighters less willing to speak out against the UFC. Smith hasn’t been overtly controversial or combative in her statements and behaviors, but she has still made a call for fighters to take steps necessary for transparency from the UFC. This isn’t as simple as saying “Smith should have taken the fight.” She was presented with an opportunity that nearly any fighter in that situation would have taken, especially if it was made clear that the promotion was planning to cut them. Fighters on the UFC roster, and those hoping to get in the company, should pay close attention to what occurred with Leslie Smith. It’s yet another example of the promotion doing something that raises a wealth of questions without being pressed for answers by anyone. 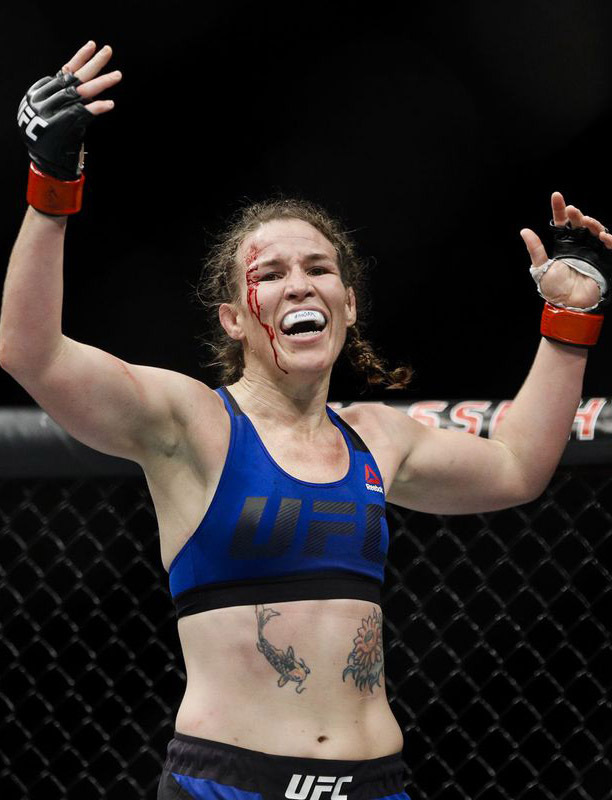 This could be the last time we see Leslie Smith in a major MMA promotion, and her release could be the first major salvo in the pushback against efforts by fighters to get a union organized. Stay tuned.